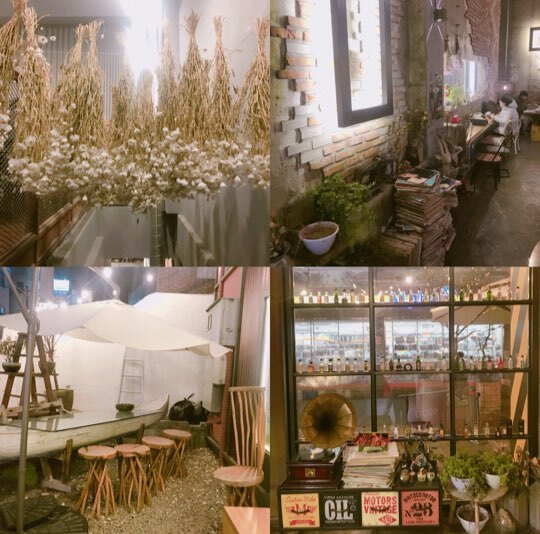 Jeonpo Café Street (or Seomyeon Café Street) is located between Buejeon Station and Seomyeon Station and is by far one of my favourite places to hang out! 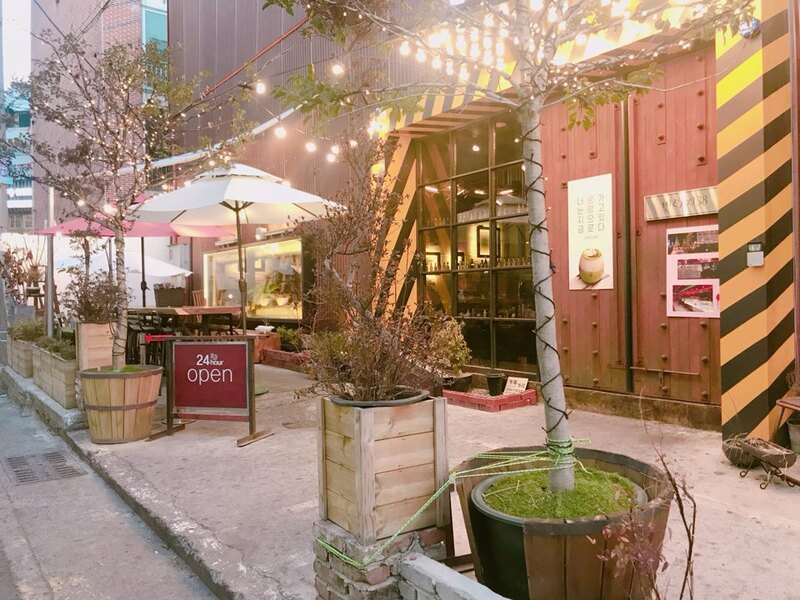 Technically, “Café Street” is not actually a street, but the name given to the area of Seomyeon that is home to all of the best cafés in Busan. Busan was hit with some pretty cold weather recently and because of this, it’s been pretty hard to explore the city. 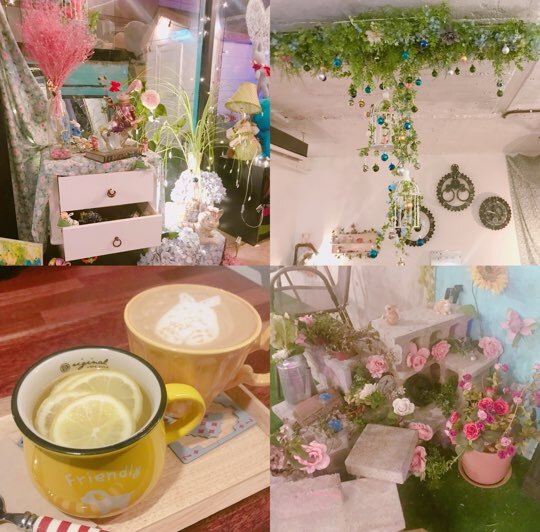 My friends and I found solace in Korea’s “Café Hopping” culture. 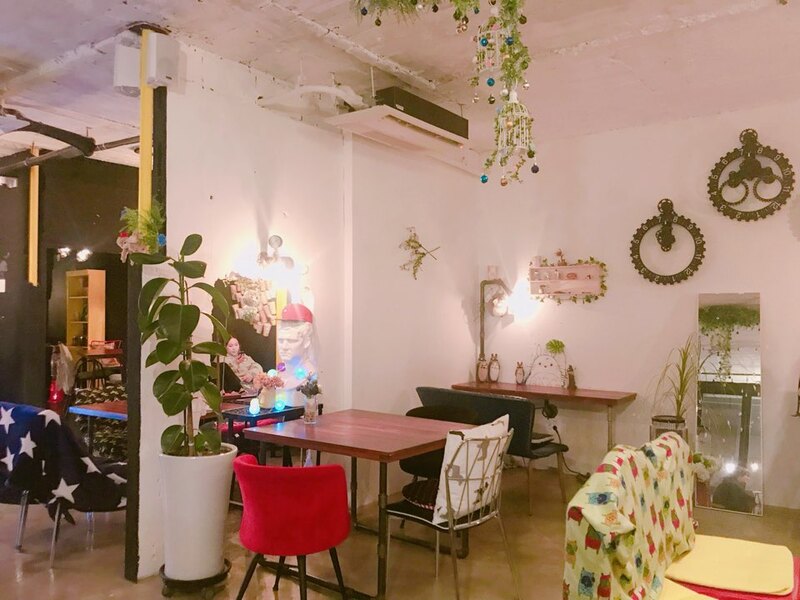 Cafés in Korea (and in Seomyeon especially) are open from the early hours of the morning until late and sometimes even 24 hours. These cafés are perfect if you have trouble sleeping like me! 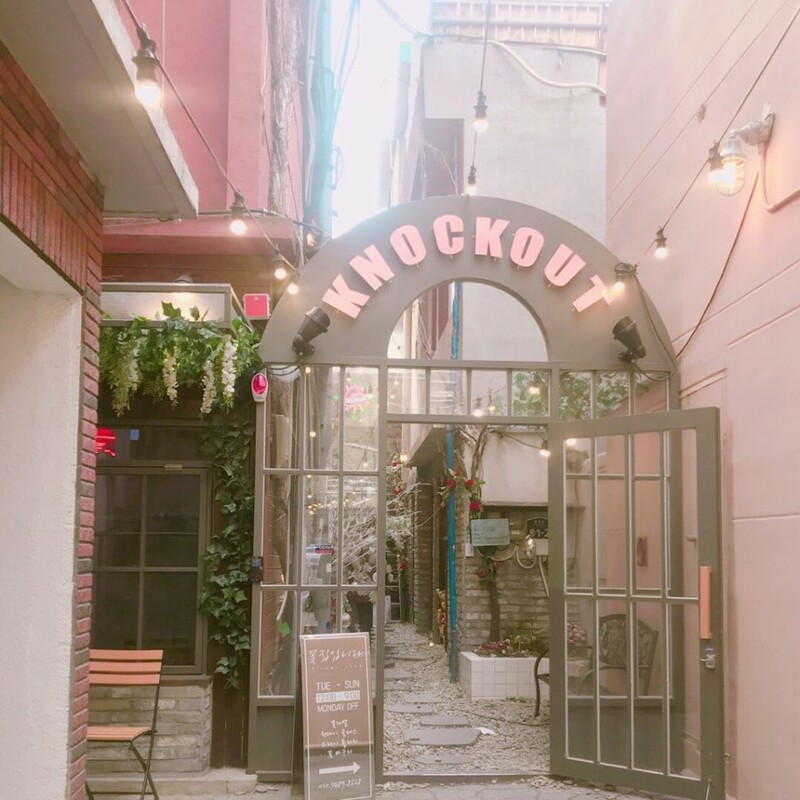 The first café is Knockout “넉아웃”, one of the first cafés I visited in Seomyeon. Knockout is open from 11am until 2am every day and acts as part bar/part café. Personally, I have never visited at night so I’m unsure what the vibe is like, but as a café during the day, it’s great! There are 3 floors to the café and honestly, I could spend a whole day inside just wandering around the building. They serve a variety of cold and hot drinks as well as freshly baked pastries and even their own merch! There’s plenty of private seating areas; perfect for large groups and even a rooftop lounge/garden. 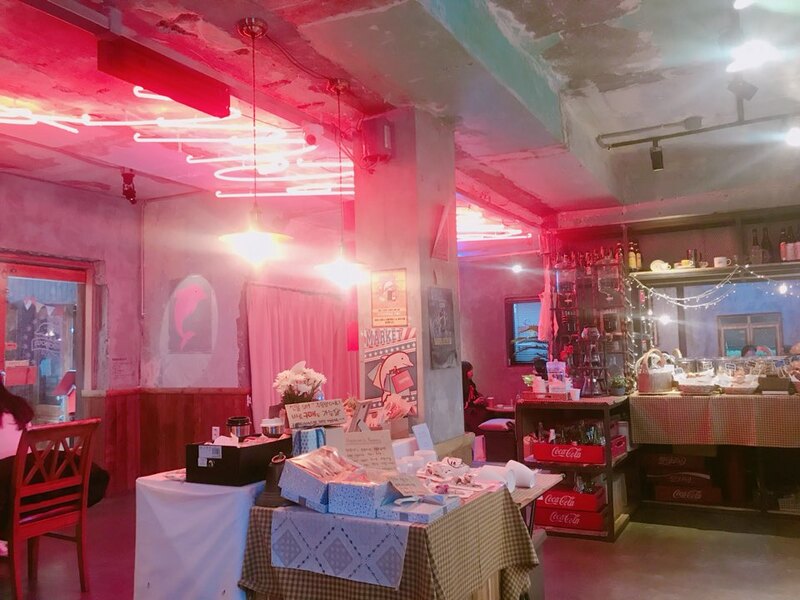 A running theme in Seomyeon café’s is the unique aesthetics. Aside from the good food and killer coffee, one of the main attractions to these café’s is the photo opportunities! Knockout is great for this. 10 minutes of walking round the café and your phone will be filled with Instagram worthy photos. 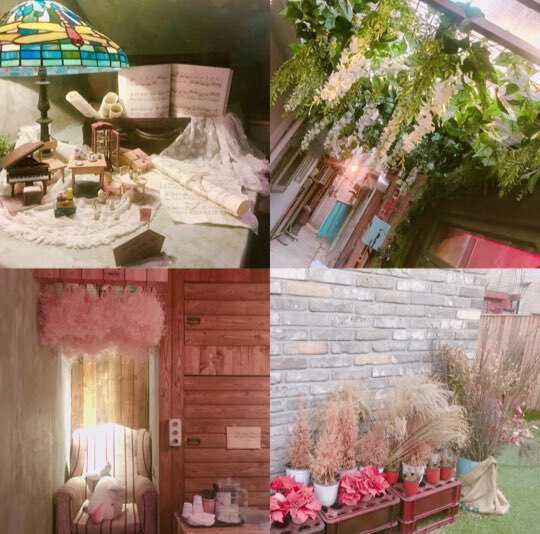 The café is a mix of Alice in Wonderland and Studio Ghibli aesthetics and is honestly one of the most relaxing, calming places I have ever visited. I recommend going at night time, as it seems to be less busy then. Although much smaller than Knockout, there are a variety of different seating areas, all decorated slightly differently. 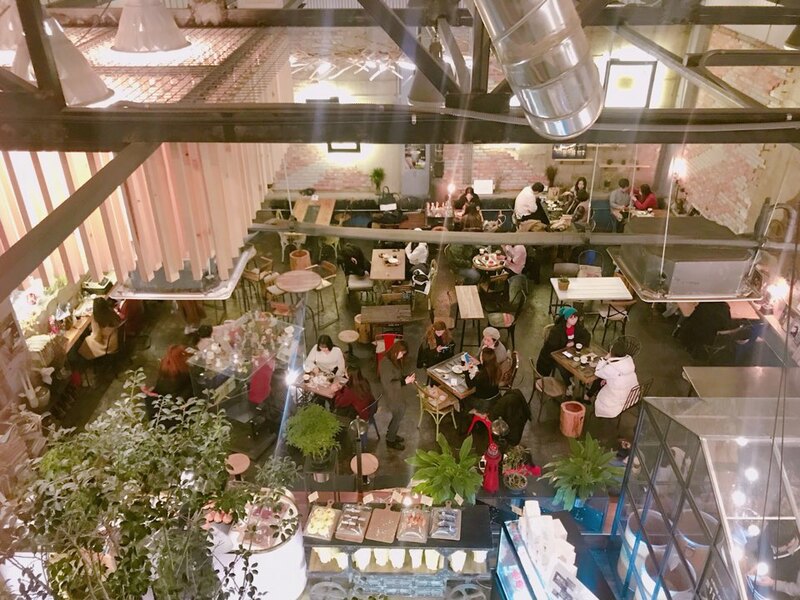 With tables large enough to seat 6+ people and small tables for couples or friends, this café really is a good spot for anyone. 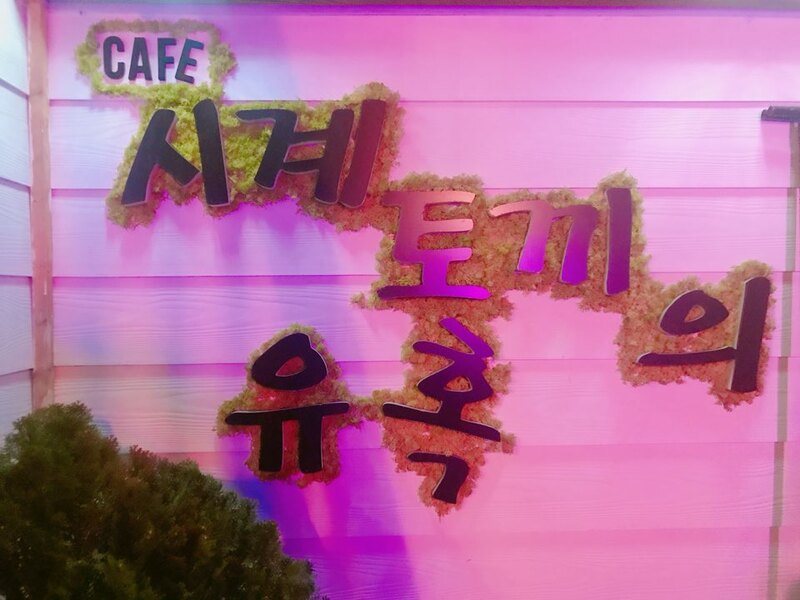 The menu consists of a variety of cakes and tea/coffee. What originally drew me to this café was the décor on the inside. I absolutely love the mix of dreamlike themes and the inclusion of some original artwork scattered throughout the café. The staff here are some of the nicest people and seem to take pride in the space they have created here.